How To Change Language In Google Chrome? It is one of the questions that I received from my reader. And I thought of writing a post on changing language on google chrome. Google Chrome offers its services in many languages that are spoken all over the world to reach to every person. 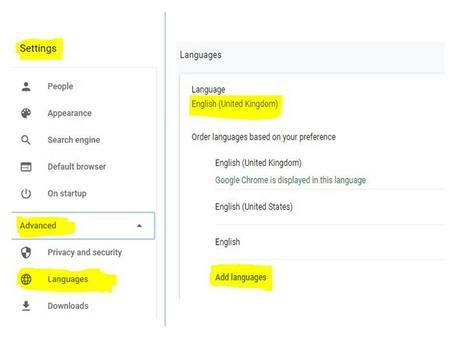 By default, google chrome comes with English (United Kingdom) language. You can change the language of google chrome to your desired language such as Arabic to English, Spanish to English, Hindi to English and much more. Google chrome is one of the most used browsers in the world with quick searches and updated security option and it is very safe to use without any security hacks. Protect your online activity without being spied: Are you using the Windows? Worried about securing your online activity? Check the Best free VPN for windows to protect your data present on the internet. In the previous post, we have listed out the best Android browsers to use. This collection includes the use of the latest features with updated security options. Choose the best browser for your android device. We hope that the post on How to change language in google chrome has helped you in selected your preferred language on the google chrome. If you find any difficulty in changing your language on google chrome, you can write to us through the comments section and we will help you out with the most suitable answers.